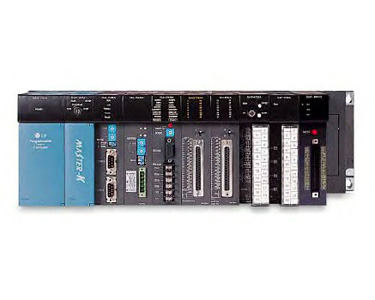 Small- and medium-scale control with 1,024 points - High-speed processing: 0.2/step - On-line editing - Change I/O value by force - Small- and medium-sized manufacture line control by network Downsizing and high performance - Various special modules: analog, HSC, PID, positioning, etc. K200S & K300S are module-type PLC that consist of various modules including basic module(CPU, Power, I/O), communication module and special module. And through various modules, user can configure the optimum system for industry environment. Incorporated in the year 2011, at Delhi (India), we, Delhi Automation India, are the reputed manufacturer and supplier of a comprehensive assortment of Forging Press Operating, Forging Press, Programmable Controller, Industrial Automation PLC, Industrial Meter, Rotary Cam Limit Switch, Industrial Encoder and Load Monitoring System. The offered products are manufactured using top-notch quality raw material and advanced technology with high precision in order to meet the set industrial standards. These products are widely acknowledged among our prestigious clients due to their excellent performance, low maintenance, sturdy construction, reliability, dimensional accuracy, optimum efficiency and enhanced durability. We test these products on various parameters to ensure flawlessness. Apart from this, we offer these products to our esteemed clients in various technical specifications as per their requirements. We are also offering Maintenance Service & Support.